Lovely round neck batwing style jumper, with ribbed sleeves. 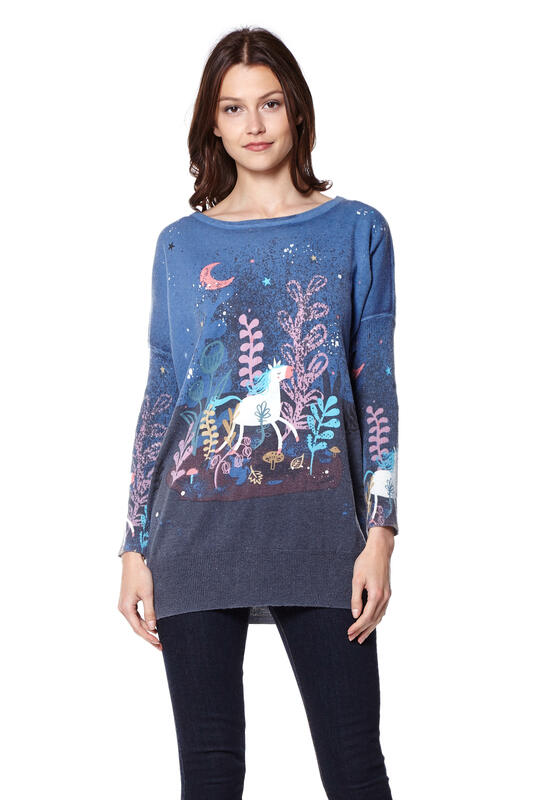 This design pictures a cute cartoon unicorn. 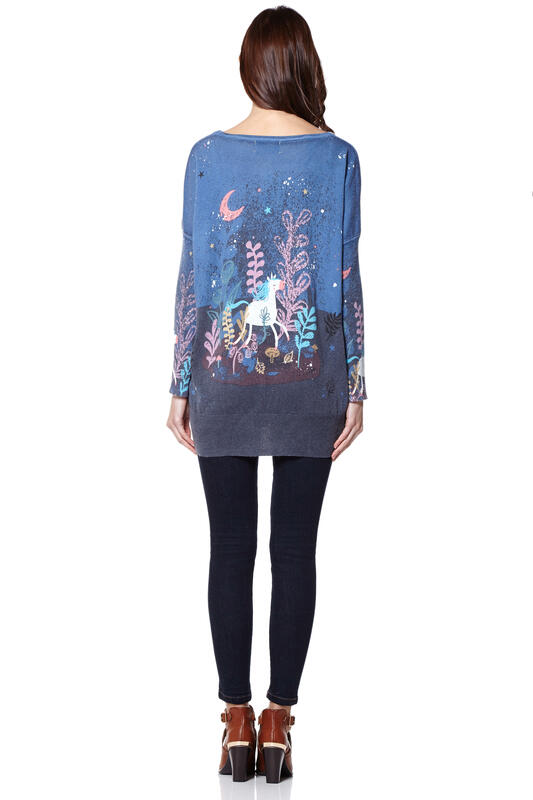 Designed by Miss Jolie, whose colourful, unusual jumpers and cardigans will brighten up any outfit.